What do you give to someone who has everything they need? Gift giving to little children is simple (here is my favorite list of toys for boys), but someone who has everything can be a completely different story. The long saying, what do you get someone who has everything, is alive and well. We recently returned home from a trip to Paris and once again the question of what to get the people watching my kids plagued me the entire trip. I wanted to get something that was useful, especially since items in Europe are not cheap. Upon returning home I began brainstorming and came up with this idea that I absolutely loved! Buy them something that they would have to buy to keep in their home. What are some items in your home that you go through and need to buy over and over again. Here are some ideas I came up with. Check out this adorable set of greeting cards for all occasions! 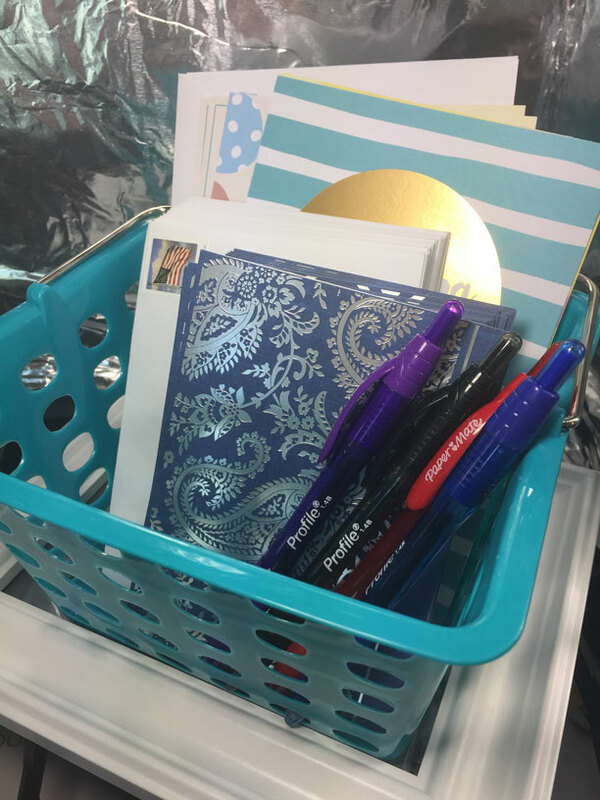 Here are some great gel pens to include in your basket! Who doesn’t love chocolate? 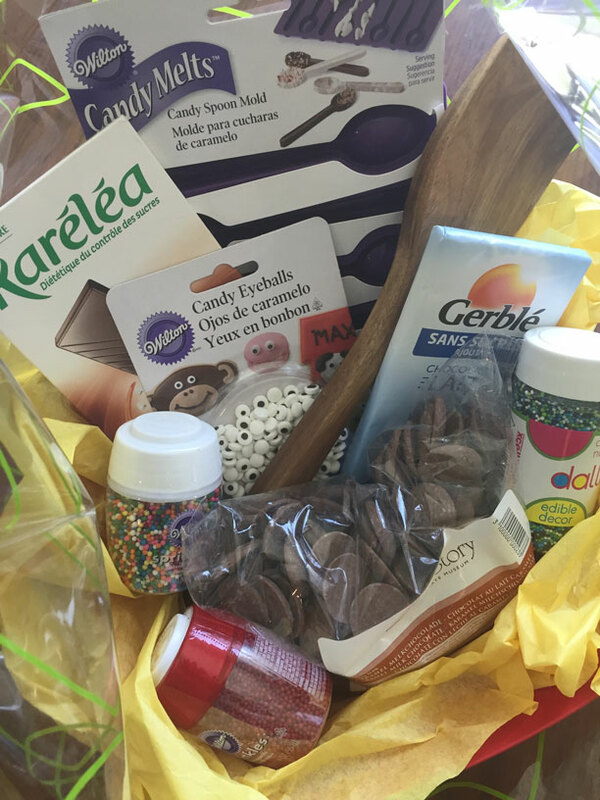 Grab some cute chocolate molds, chocolate melts, sprinkles, and any other items you want to include! If its Spring you can have so much fun with this. You can get seeds, plants, gloves, garden spade etc. Seeds are something you need to buy every year! 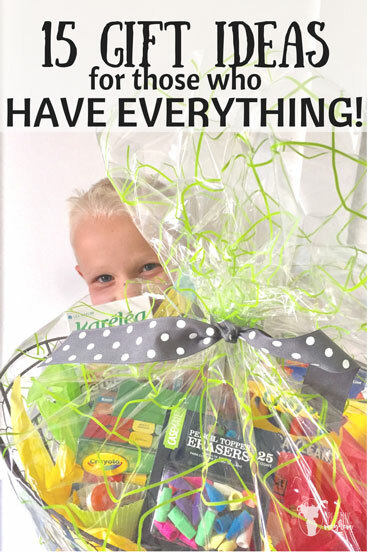 This makes a great gift basket idea! 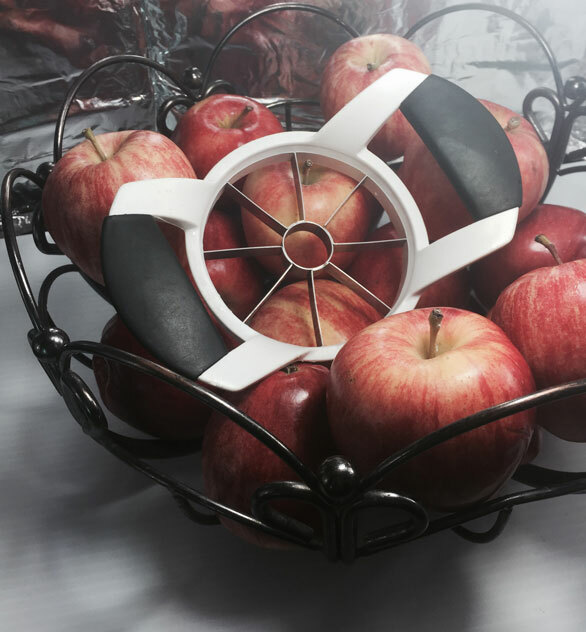 Get a cute fruit basket, throw in a apple cutter and some caramel and you are set! I absolutely love this idea! This is something I am constantly buying! 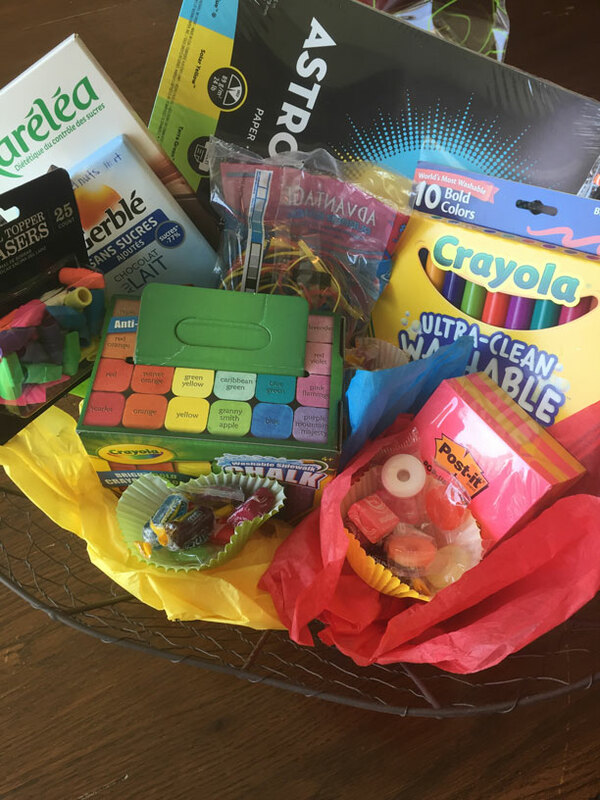 How many glue sticks, rubber bands, tape, erasers, pencils, sidewalk chalk do you go through? Again, something that needs to be replenished often! Another Win-Win! Bubbles, sidewalk chalk, squirt guns, sunscreen. Bug Spray, flashlight, disposable paper goods, clorox wipes, hand sanitizer. Envelopes, staples, stapler, different kinds of tape, sticky notes, folders. Tie together 3 wrapping paper rolls with tape and scissors. Spaghetti sauce, Noodles, Parmesan Cheese put into a strainer. Toilet Paper, hand soap, bar of soap, air freshener, cleaning sprays, rags. This list could go on and on. The next time you are at the store, just think of things that you buy often and turn it into a fun gift that you could give. I love practical gifts that I can use and won’t just collect dust on my shelf! Good luck!